The American Dental Association is trying to raise awareness of a terrible scourge affecting the zombie population: gingivitis. It's no secret that zombiehood doesn't include a good dental plan, so a lot of these guys are walking around out there, eating flesh, and not brushing. And flossing? Forget about it. This gives the undead terrible tooth and gum problems, which can get so bad that they can't even eat anymore! That's why the ADA is hoping some brave volunteers (like you) will bring attention to their plight this Halloween by wearing the Rotten Gums Zombie Mask! Public service aside, it's also just an awesome, creepy, and delightfully icky mask. 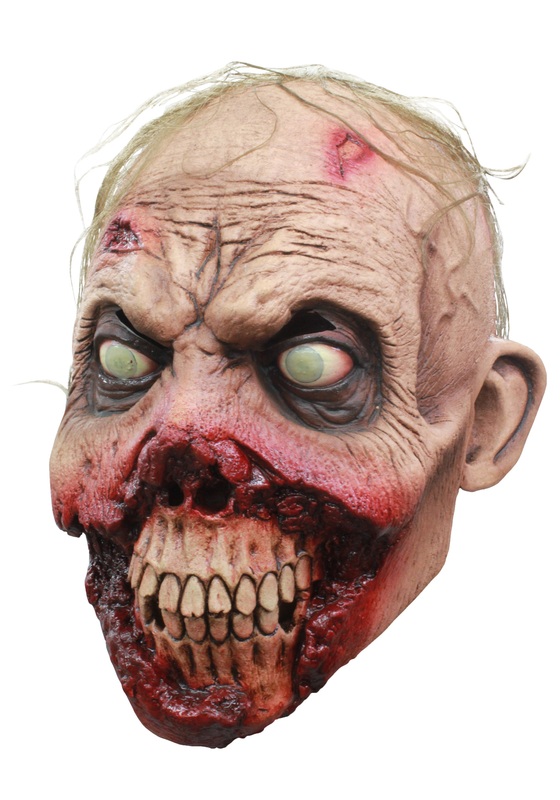 With striking and unnerving details molded in latex (like glazed-over eyeballs, skin sores, and exposed jaw and teeth), it has a level of realism that many people will find more than unsettling... so, in other words, you're going to be a big hit at the Halloween party! Just don't forget to floss after you eat everyone there!